A good bassline is the heart and soul of a song. Forget your guitar solos and your vocal gymnastics; the low-end is what gets toes tapping and people moving. 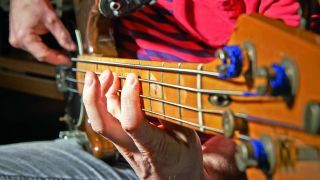 Ahead of MusicRadar’s rapidly approaching Bass Week, we’ve rounded up a list of all-time classic ’lines, along with your suggestions and the input of the MusicRadar team, with the aim of crowning one overall bassline champion. Will your favourite feature distorted fury, a la Muse’s Hysteria or Beastie Boys’ Sabotage? Perhaps a rock classic, such as Aerosmith’s Sweet Emotion or one of Paul McCartney’s numerous entries in the list? Or will you turn to the classics, your What’s Going On or Good Times? Get your votes in, and we’ll reveal the winner when Bass Week lands on 21 August. Happy voting!